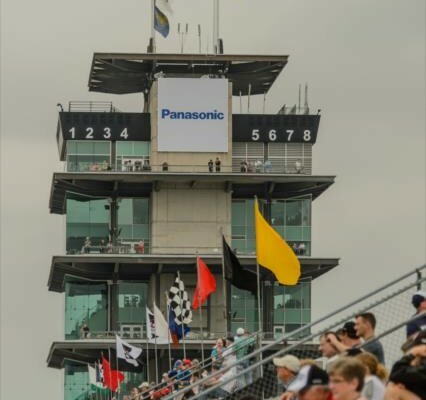 After only two qualifiers took to the track on Saturday, rain has officially postponed time trials for the 99th running of Indianapolis 500 till Sunday morning. The track was closed officially at 2:10 p.m. eastern time on Saturday afternoon. Local radars showed heavy rain continuing through the rest of the afternoon, preventing any chance of a window to dry the track and resume qualifications prior to the end of daylight time on Saturday evening. Moments after Chip Ganassi Racing’s Scott Dixon fired off a lap in excess of 231 miles per hour, Verizon IndyCar Series officials called off the run due to moisture at 12:38 p.m. local time and the rain intensified from that point until the decision was made to postpone. Sunday’s schedule will be as follows. Practice will begin Sunday at 8 a.m. and run for forty minutes till 8:40 a.m. eastern time. There will no guaranteed length of green flag time, during the session. After a one-hour break, qualifying will begin at 10 a.m. eastern time and run till 1 p.m., with all 34 drivers being allowed one attempt to qualify. 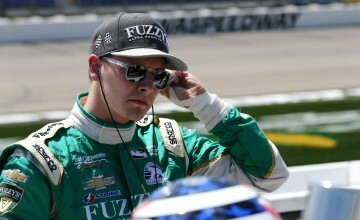 However, the session will not allow for drivers to have multiple chances to qualify. Once the initial session is concluded, the top nine qualifiers will advance to the Pole Day Shootout, which will determine the winner of the Verizon P1 Award. The shootout is scheduled to begin at 1:45 p.m. eastern time as was originally scheduled, prior to the start of this weekend’s activities. The day will be concluded with the final three spots in the field up for grabs for those among the 34 entrants, who failed to qualify in the top 30. 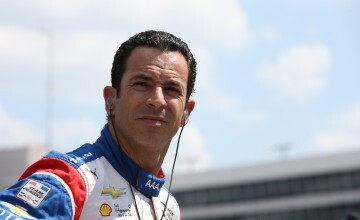 The slowest driver in that session will not make the field for 99th Indy 500. Stay tuned to Rubbings Racing online and on Twitter for continued news and updates from Indianapolis.